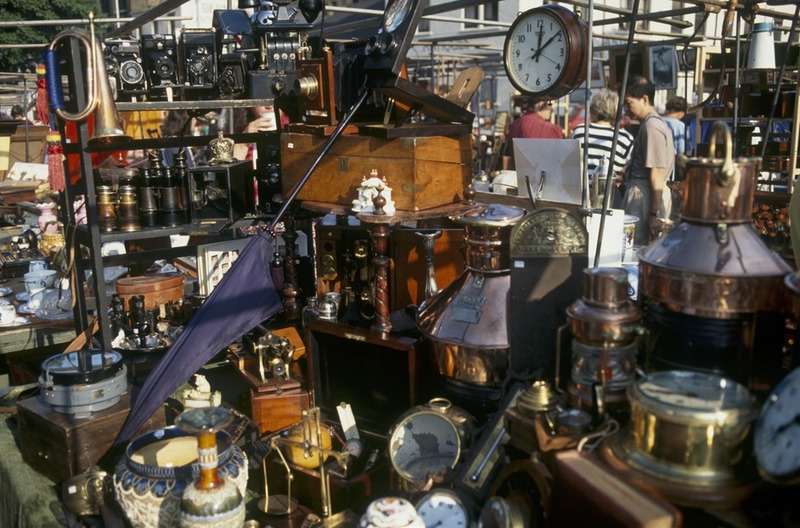 What started in 1855 as a place to trade with impunity (ie stolen goods bought here didn't have to be returned) is now the busy weekly Bermondsey Square Antiques Market (also known as the New Caledonian Market) where you can find much loved secondhand and historic objects. Stalls start to line the square - formerly the site of Bermondsey Abbey - from 4am and trading starts at 5am; arrive early to get the best of the pickings. Treasures are hidden among the bric-a-brac and dusty old items so you never know what you might find. Among the furniture, silver, jewellery, china and glass from Georgian, Victorian and Edwardian times are photo albums full of postcards, paintings and walking sticks with their silver handles well worn by years of service. But the prize for most unusual find has to go to a two million year old fossilised turtle shell. The market attracts dealers from all over the area and is a mecca for serious collectors. What are the best dining options near Bermondsey Square Antiques Market London? Bermondsey Square Antiques Market gyms, sporting activities, health & beauty and fitness. The best pubs near London Bermondsey Square Antiques Market. Bermondsey Square Antiques Market clubs, bars, cabaret nights, casinos and interesting nightlife. Where to have your meeting, conference, exhibition, private dining or training course near Bermondsey Square Antiques Market. From cheap budget accommodation to luxury 5 star hotels see our special offers for Bermondsey Square Antiques Market hotels, including Hilton London Tower Bridge from 82% off.